We are here to support our customers in every aspect of the shooting world. 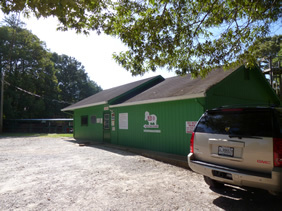 We offer several different services for the shooter or hunter. Range Observer We have a Range Officer on the line to provide safety of our shooters and to give the shooter a sense of security and at the same time, provide help with spotting for the rifle shooter and general help to make your shooting experience more enjoyable. Gunsmith Services: Some Gunsmith services can be handled here but others have to go to the gunsmith which is offsite, but the gun is taken in by us and processed to the gunsmith and when completed the customer is called and can come here to pick the gun up. Gun Cleaning Services: We clean and service your gun, breakdown all the parts and clean and inspect each part and reassemble. Cost $65.00 for most guns. 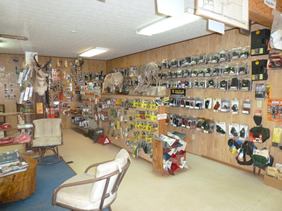 Shoot–In: We will shoot scoped Rifles in getting the hunter ready for hunting season. Cost is $10.00 per gun if you have your ammunition, if you need ammunition we can certainly provide that for you at additional cost. Bore sight: We are able to bore sight your scopes to get you on paper at 25 yards and if you need additional help getting your rifle sighted in we can offer assistants. Cost is $3.50. Custom Loaded Ammunition: We partner with RCB Custom Ammunition which is on the premises with Advanced Bullets and we are able to get you the right load for your gun. Shooting Clay Lessons: Greg Ashworth a NSCA level 1 certified instructor offers personal lessons for those who want to get into the sport of clay shooting or just need to sharpen their skills. Cost is $ 45.00 per lesson. 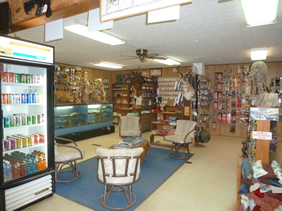 Consignment of Firearms: We offer a way for you to sell that firearm in our store and get you what you want for that firearm. 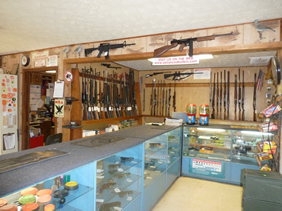 Gun Rentals: We have a wide selection of handguns , we also have rifles for shooters who want to shoot at longer distances and for those who want to shoot clay targets we have 2 shotguns. Smith & Wesson 357, Ruger Super Redhawk 44 Mag. , Beretta 85 (.380), Taurus Ultra Lite 22lr, Ruger Mark III (22 LR), Taurus 85 (38 Special). Beretta A400 Auto-shotgun 12ga. And 20ga. All Memberships are family Memberships (includes spouse & children under the age of 18) . All Memberships have a 15 % discount in store on Accessories and Factory Ammunition with a green price sticker.